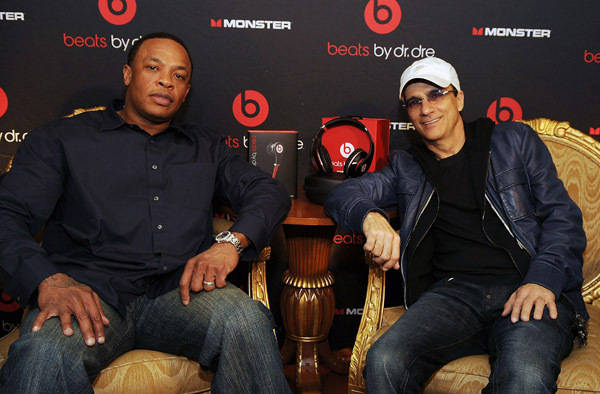 Should Apple’s rumored $3.2 billion deal to buy Beats Electronics, LCC come through, its most visible co-founders Jimmy Iovine and Dr. Dre could show up on the Moscone West stage to be introduced as Apple executives, as per Billboard. An annual pilgrimage for programmers, Apple’s 5-day Worldwide Developers Conference, or WWDC, kicks off on June 2. Apple could unveil Jimmy Iovine and Dr. Dre as its latest recruits at its Worldwide Developers’ Conference in June, according to people familiar with the Beats Electronics acquisition talks. The article goes on to state that Apple should officially confirm the Beats buy later this week. Beats Electronics, for those who have been living under a rock for the past few years, makes Beats by Dr. Dre headphones and licenses its Beats Audio technology to device vendors. Back in January, the startup has entered the streaming-music space with its own Beats Music offering, basically a $9.99 per month on-demand streaming product sporting 20 million tracks. 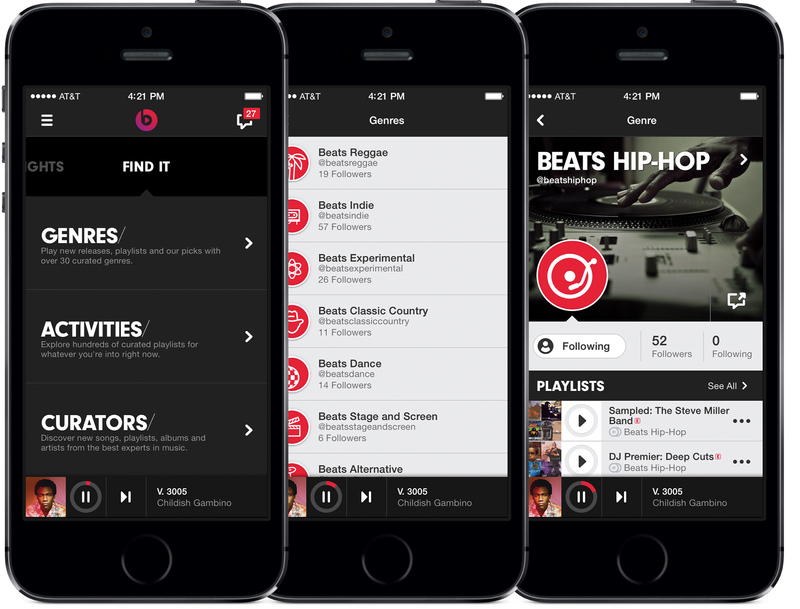 Beats Music sets itself apart from competition by combining machine algorithms and human curation to permit listeners to play tracks based on their activity, genre or a curator. According to one person who spoke to Billboard, Iovine, 61, in his yet-to-be confirmed executive role would oversee all of Apple’s music strategy and handle relationships with labels and publishers. Iovine is also the chairman of Universal Music Group’s (UMG) Interscope, Geffen and A&M labels. His contract with UMG is conveniently set to expire by the end of 2014. If true, this should help reduce the burden on Eddy Cue, Apple’s Senior Vice President of Internet Software and Services who currently handles all of Apple’s relations and content negotiations with record labels and Hollywood. Given his extensive industry experience as a record and film producer and an entrepreneur – and especially taking into account his rich career – Iovine could probably do a better job than Cue in terms of advancing Apple’s content strategy and rallying up support from content owners. Though Apple is the music business’ biggest customer, its relationships with some of the music companies has at times been strained as it has tried to figure out how to cope with dwindling download sales. For example, iTunes executives have suggested that labels provide exclusive albums for downloads ahead of streaming services such as YouTube and Spotify. According to a New York Post report last Thursday, Iovine will indeed be joining Apple as a special adviser to Tim Cook on creative matters. People in the know say he’ll be commuting from Los Angeles to meetings at Apple’s Cupertino headquarters as needed. Dr. Dre (real name: Andre Romelle Young), who also produces Eminem and 50 Cent, is no stranger to Apple events. A decade ago, he graced WWDC attendees with his virtual presence when Steve Jobs took to iChat to video conference with him and talk about the impact of the iPod and iTunes on the music industry at large. Bloomberg earlier this morning cited industry sources who claimed that Apple intends to retain Beats as a standalone brand. The company would continue to sell the headphones, the story goes, while Jony Ive and his team would work with Beats to “improve the quality” of Beats hardware in future versions. Image top of post: Dr. Dre and Jimmy Iovine attend Monster’s Beats By Dr. Dre “Sound Matter’s” Listening Session at The Paris Hotel and Casino Resort on January 7, 2009 in Las Vegas, Nevada. Photo credit: Denise Truscello/WireImage.com.